Searching for ways to green up your act? Kokedama means ‘moss ball’ in Japanese and we are turning this ancient art into a handy-dandy, beautiful ball of hanging Asparagus Fern. As well as being given all the materials you need to create your own Asparagus Fern kokedama, you'll learn how to string up your hanging garden and keep it thriving. If you would rather not hang kokedama, display the moss balls on altar-like stands and arrange in artistic groupings. Either way, the results are extraordinarily appealing. At the end of the day, you'll leave merrily clutching your own unique work of living art. 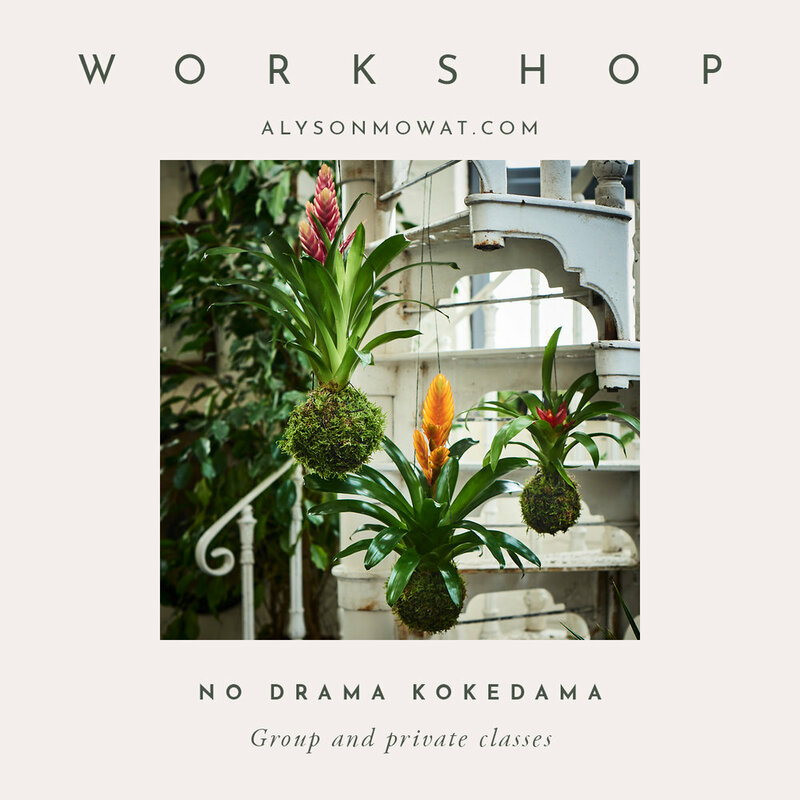 We will also learn how to create an inside-out orchid kokedama in the private kokedama class. 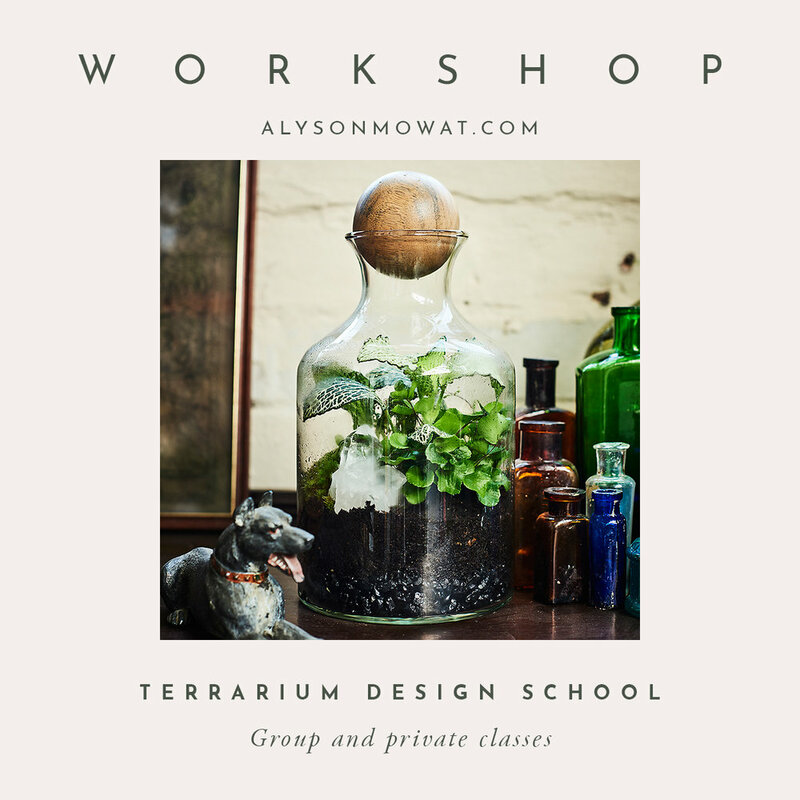 Learn to design and plant a submerging and floating landscapes in a jar. Discover a whole new world of plants you never knew existed, how to layer aquatic greens and the oh so soothing effect of watching plants dance gracefully underwater. Everything you need – glass containers, plants, soil and accessories – will be provided on the day, as well as refreshments for both plant and person. You're more than welcome to bring your own container if you have something special planned. Design your own garden in the sky and make the most of your rooftops and balconies. Our outdoor spaces are often an afterthought with a mish-mash of different pots and plants not suitable for your balcony's aspect and changing conditions. Apply your newfound knowledge gained during this course to your own designed plan. Learn how to plan, layout and plant with designer solutions. - Create a beautiful mood board as a style guide for your choice of planting. - Create at least one planting combination suitable for your site and brief. A combination of practical workshops, discussions, and demonstrations will be taught during the workshop. This is a private class, lasting 4 hours with half an hour break inbetween. It takes place at my studio in Shoreditch at a time of your choosing. Use the copper foiling technique to build your own cube-shaped terrarium! Learn how to cut your glass to a pattern and assemble this 3D shape. You will choose and accurately cut sheet glass to a terrarium pattern, learn the copper foiling technique and how to solder your foiled pieces together smoothly. After applying patina to your terrarium, you'll learn how to plant a succulent garden in your glass creation. 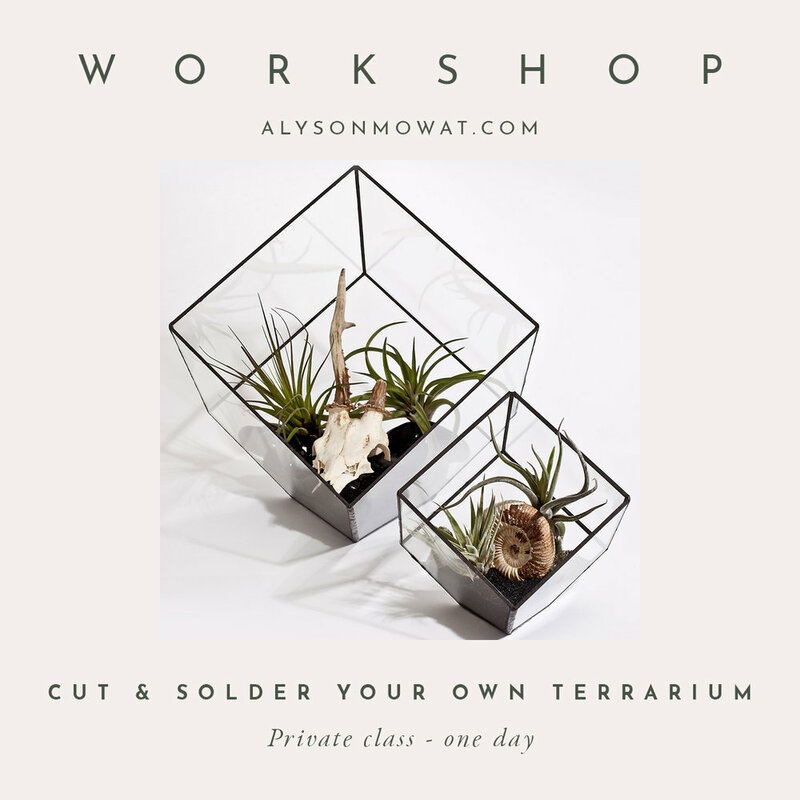 This is a private workshop, which means we can run this class around your schedule. This class lasts around 6 hours. Wherever you are in the world, I can join you in the comfort of your own home for a virtual class. I will provide you with a shopping list before hand and help you source everything you need for the class. Drawing inspiration from the concrete jungle, we'll be creating planters from cement, providing plants with chic urban dwellings. 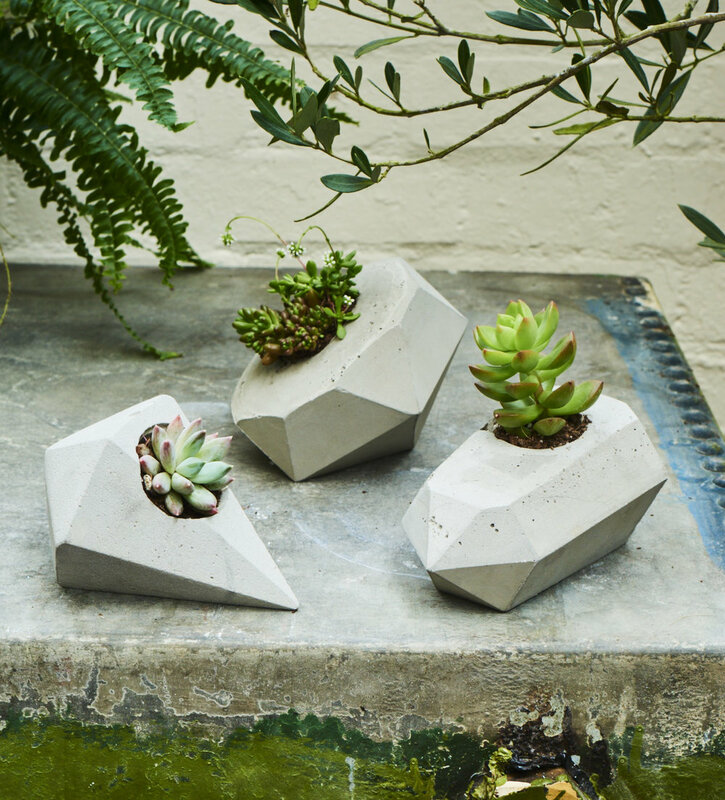 Together, we will create a beautiful concrete planter from scratch making a silicone mould. Then, by working with coloured pigment, cement, and other fun materials, we will mix and pour concrete. Because the concrete in the mould will require a couple of days to cure, you will be given a planter made previously by myself to demould and customise. The finishing touches will be applied such as hand sanding, wax sealing, buffing and decorating with metallic spray paints. Everything is provided including materials, wine on Saturday night and refreshments throughout. Students may bring their own object to create a mould from or choose from the selection available at my studio. The process can be a little messy and dusty at times so please make sure you bring an apron or wear old clothes on both days. The workshop is spread over two days – A Saturday evening and the following Sunday morning. 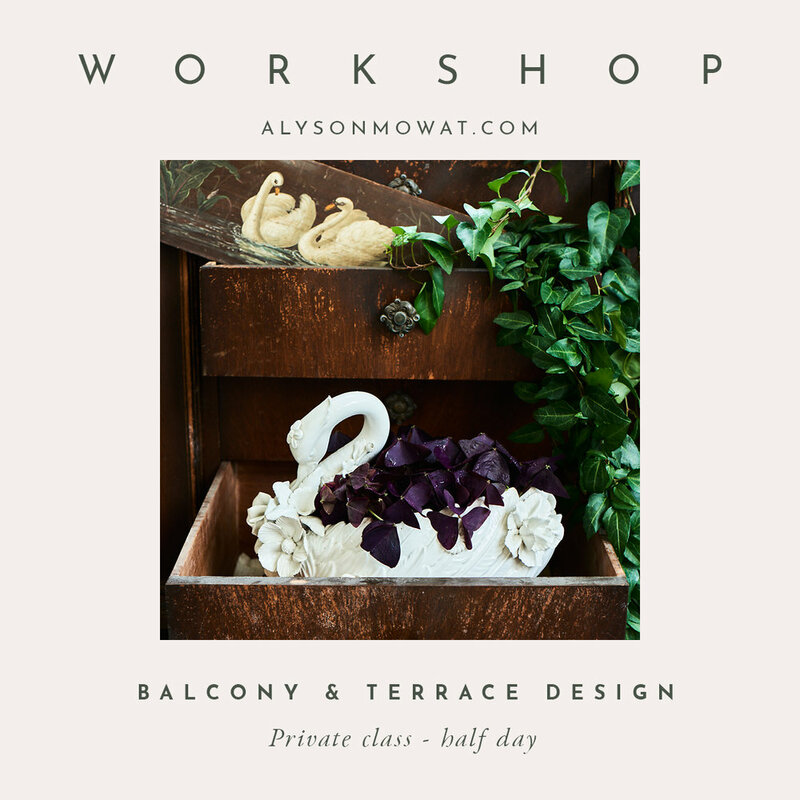 This includes 3 hours of workshop time and all the materials and equipment required for you to create a concrete planter. The first evening will involve creating your silicone mould and discussing what formula you would like to use to create your planter the following day. On the second day, we will fill the mould with hand mixed concrete. Whilst it settles into its mould, we will decorate and plant in the other planter. There will be a beautiful selection of plants for you to use or you can visit Columbia Road’s Sunday Flower Market, around the corner from my studio, to select the perfect specimen.